Easing Aches, Relieving Pain, and Improving Life—Naturally. Stress, tired muscles and joints, and swollen limbs can slow you down and cause pain. MicroSilk® is a next-generation hydrotherapy that emits dense clouds of microbubbles into bath water to wrap skin, muscles, and joints in a warm oxygen-rich blanket. While the bubbles are suspended in the bath water, they implode to create heat energy under the water resulting in an improved “sauna effect.” This provides for more thorough and consistent warmth of the body to boost circulation, encourage efficient release of toxins, and relax muscles for flexibility and faster recovery. 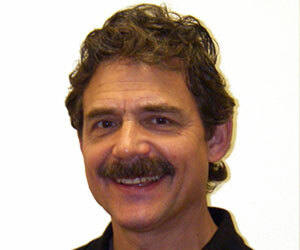 "I have been a physical therapy practitioner for 35 years, specializing in health and wellness for adults over 60. I was happy to introduce MicroSilk at my practice, as I saw my patients experience pain relief related to swelling, burns, arthritis, and soreness. It is a great tool for relaxing the body, alleviating pain, and encouraging an active, healthy lifestyle"
Read about how Cathy uses MicroSilk® to keep doing the things she loves, even with Rheumatoid Arthritis! Find out about Heather and her routine of using MicroSilk® to fight and feel fancy. Read about how Mary uses MicroSilk® to keep up her active lifestyle after injury. QUIET DESIGN Enjoy a peaceful bathing experience. Pure Comfort Experience a bath that is created to fit your body. MicroSilk® Introducing a revolutionary new type of hydrotherapy.